The West Bengal Forest Development Corporation offers a Forest Rest House at Murti namely Banani with different type of accommodation. The food supplied at the FRH is quite reasonable but though the Nature Resort is quite good, but due to uncontrolled tourism and picnic arrangements in its surroundings, the river bank in front of the FRH has become unthinkably untidy. A few private Resorts are also coming up in Murti like Tuskers Den and few more which offers much standard accommodation than the Government run one and the rates are not that different. Soem of the resorts are being build at around 10 minutes drive from the FRH like , Kaku'r Bari. This area offers much better view with picturesque surroundings of Gorumara N P and Murti Riverbed. If you are lucky enough then you might get a glimpse of Elephant herds drinking water from Murti River. The robust infrastructure, wonderful location, luxuriant natural resource, competent human resource and cutting edge facilities are the instrumental factors that have magnanimously contributed towards the emergence of The Tuskers Den as a paradigm of sheer magnificence where one can nestle down amidst utmost ease to the nature and get plunged into heavenly bliss. Visit to the Tribal village. Walk to the river Murti. River Rafting on the River Teesta. Main entrance of Garumara National Park: 6 kms away, a drive through the tea garden. Plantation visit: experience life on a typical Tea plantation. Visit Dooar's largest elephant training centre - Gachbari, 5 Km. The Guest Rooms are all Exquisitely designed and finely furnished with ample space and modern amenities with LED TV, HD Channels, 24 hrs hot water, gardens. All rooms are hill view. In a clear day you can see Mt.Kanchanjangha. Bungalow rooms measuring 275 to 300 sq. ft. 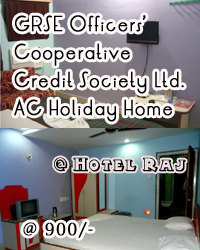 The resort has two categories of Rooms.